Who better to defend the Earth from the judgement of a supreme robotic court than the most handsome leading man who does all his own stunts? Meanwhile, Revo-Corp's latest technological marvel is in tough against a ferro-kinetic villain who just wants to make all that metal sing. If you already own Season Pass 2, update to version 2.6, Mini-Pack 4 content should appear in the game. Steam - Your Steam client should automatically download and install the new content when you press Play. You may need to quit and restart your Steam client for it to see the update. iOS & Android - When you launch Sentinels, you should be shown a screen prompting you to re-download your expansions. If you are not, just press “Get Expansion Packs” and tap “Restore Purchases.” You will need to re-download Season Pass 2 in order to properly play Mini-Pack 4. Not a Season Pass holder? No problem. Mini-Pack 4 is available via In App Purchase on all mobile stores and standalone for Steam here. Of course, Mini-Pack 4 also brings new variants! Action Hero Stuntman - Ansel G. Moreau never let his scars stop his career. He just went on being the best action hero the world had ever seen on the screen. So when all of reality was threatened and he had a chance to fight against that threat, Ansel knew it was time to show off. After all, he did all his own stunts. Stuntman. Coming to a theater near you soon, provided the Multiverse doesn’t collapse first. Benchmark: Supply and Demand - In an alternate reality, Benchmark is the only hero left in a world that needs heroes desperately. 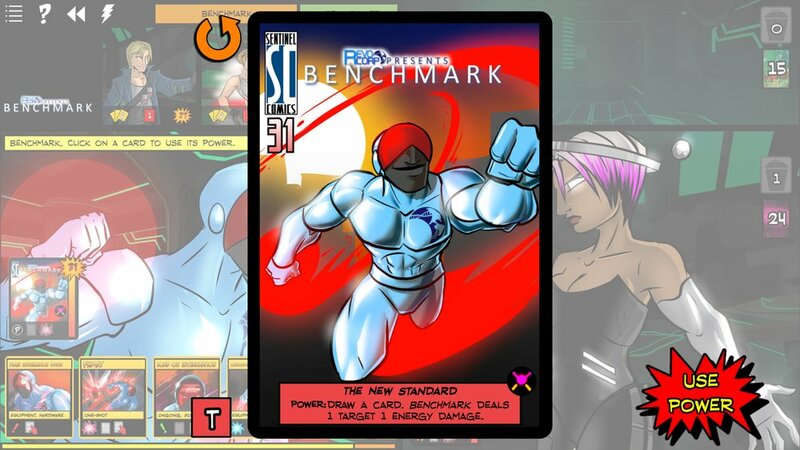 Backed by the angel-investor funded RevoCorp, Benchmark does all he can to protect the world. Benchmark is running up against a classic economic issue of Supply and Demand. So, when a portal opens to a dimension with a threat against all reality, Benchmark must join the fray. Like we did with the Fall of the Variants, these 2 new variants will become available for unlocking at the end of Sentinels Live, Tuesday, July 24th. Watch live to be one of the first to try your hand at getting into the Hall of Fame! Now that Mini-Pack 4 has arrived, we know you'll want to know more about Mini-Pack 5, also known as: Void Guard. 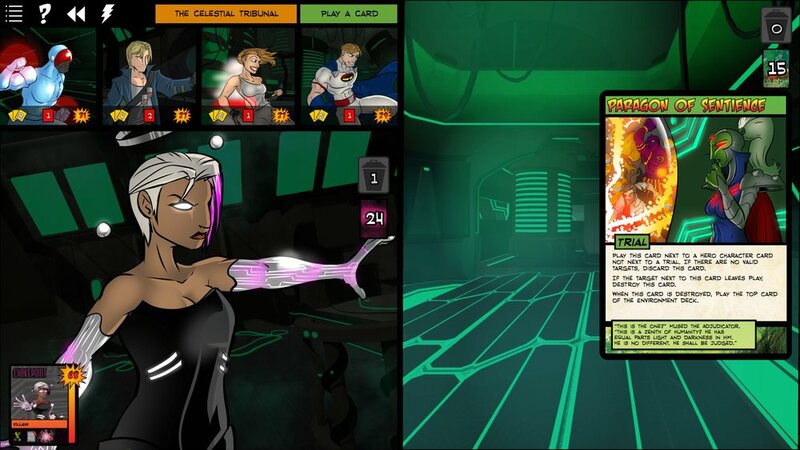 The team known as the Southwest Sentinels have harnessed the power of OblivAeon shards! What will happen next? 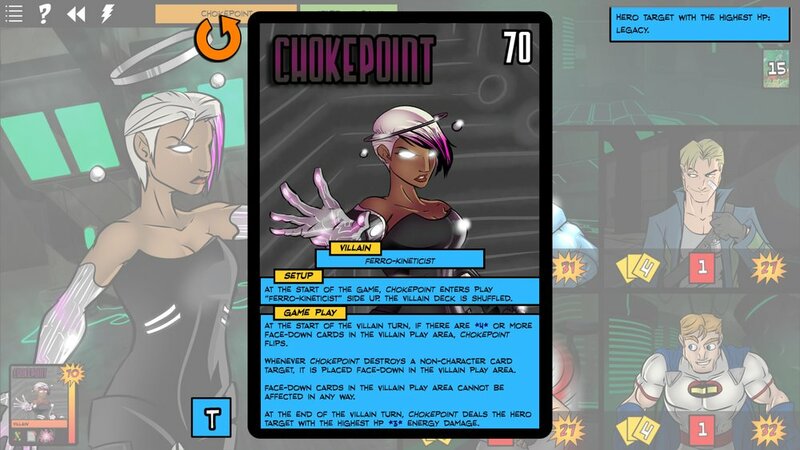 We hope to begin previewing Void Guard on Sentinels Live soon. Follow our Twitch channel to get notified when we go live, and you can always catch past episodes on YouTube. Stay tuned later in the summer for more information on Void Guard and of course, the final piece of Season 2: OblivAeon itself.